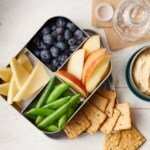 Inpired by Starbucks' bistro boxes, this packable lunch is just like a personal-size cheese plate to take on-the-go. 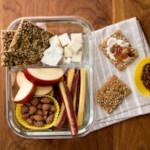 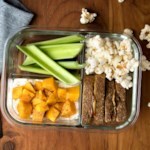 The healthy and easy snack-style meal is perfect to take for lunch at work or for a light picnic date night. 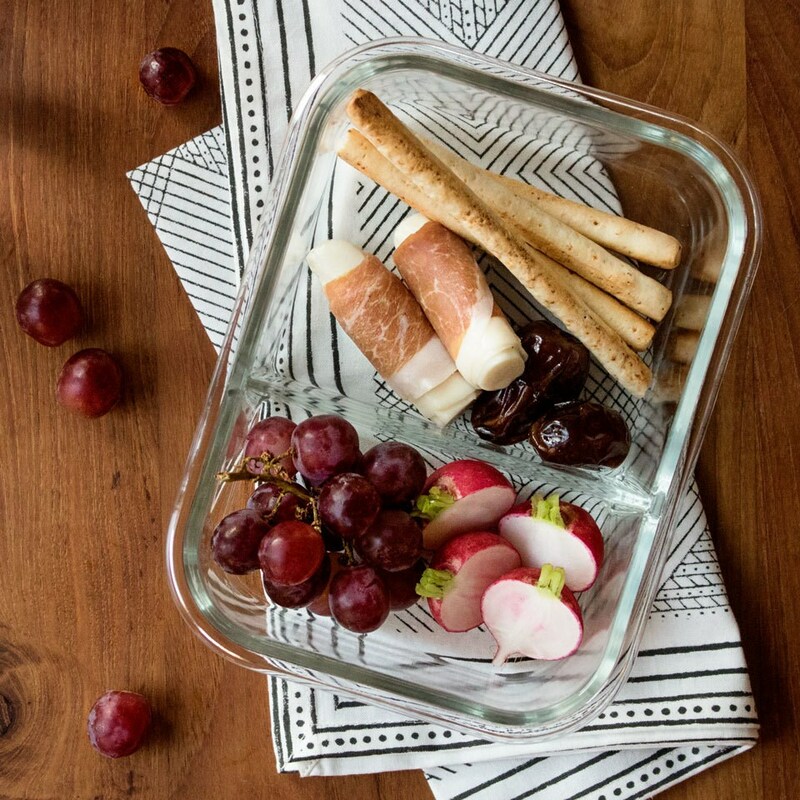 Cut prosciutto in half lengthwise, then wrap a slice around each portion of cheese. 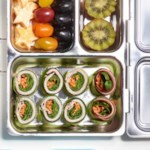 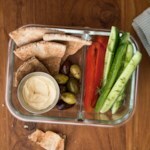 Arrange the wrapped cheese, breadsticks, dates, grapes and radishes (or cucumber) in a 4-cup divided sealable container. 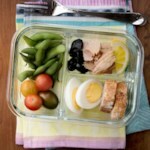 Keep refrigerated until ready to eat.